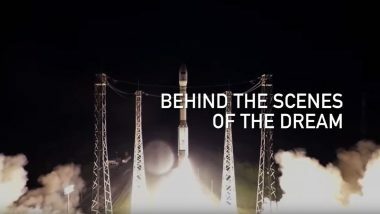 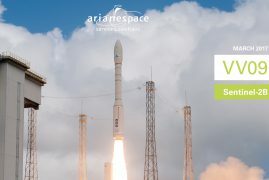 For its third launch of the year – and the ninth to be performed by the Vega launcher since its first liftoff from the Guiana Space Center in 2012 – Arianespace will orbit the Sentinel-2B satellite, a part of Europe’s Copernicus Earth observation program, on behalf of the European Commission within the scope of a contract with the European Space Agency (ESA). 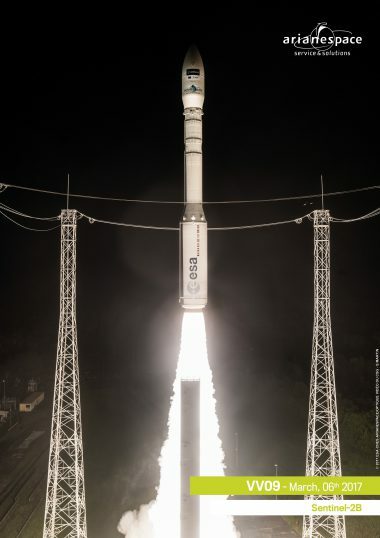 As a multi-purpose launch vehicle that already has demonstrated its capabilities during the eight previous successful missions, Vega is now fully operational in commercial service – and will be performing its sixth flight for Earth observation. 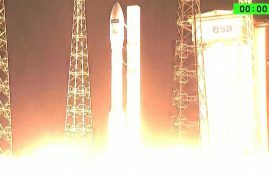 Copernicus is the European Commission’s Earth observation program. 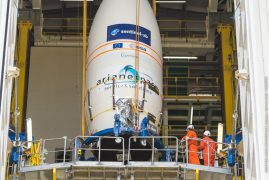 Its aim is to give Europe continuous, independent and reliable access to Earth observation data. 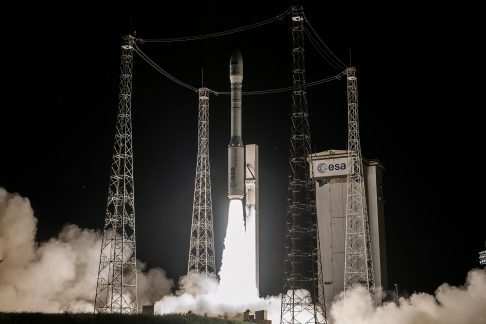 It covers a vast spectrum of missions that will enable this continent to better control and protect the environment, enhance understanding of the underlying phenomena in climate change, as well as improve security for European citizens. 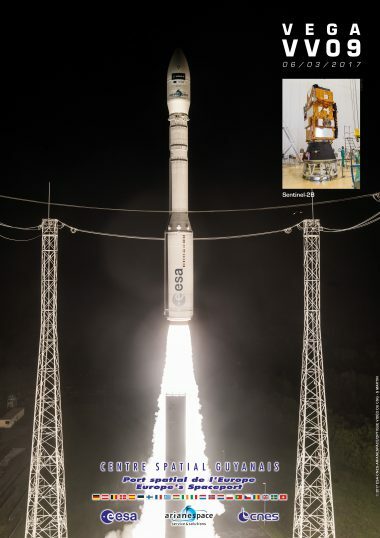 Sentinel-2B is the fourth satellite in the Copernicus program to be orbited by Arianespace, following the successful launches of Sentinel-1A by a Soyuz rocket in April 2014, Sentinel-2A by a Vega rocket in June 2015, and Sentinel-1B by a Soyuz in April 2016 – all performed from the Guiana Space Center in French Guiana. 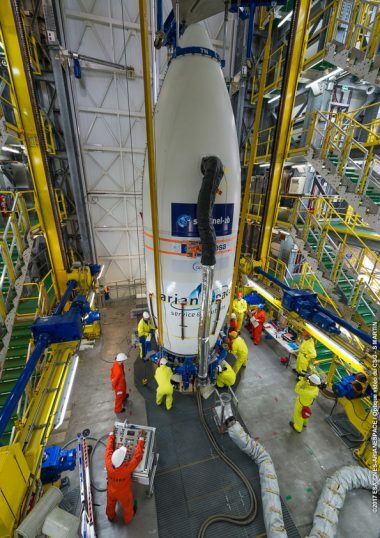 The Sentinel-2B Earth observation satellite primarily focuses on monitoring land masses and coastal zones around the world. 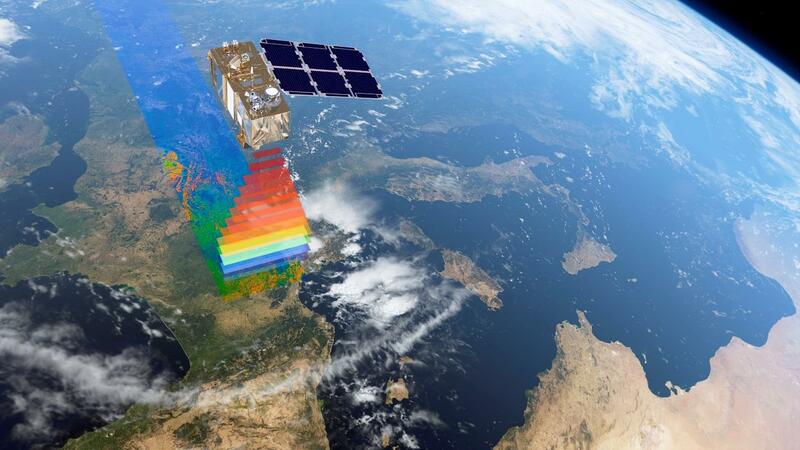 Its data will be used for applications concerning the monitoring of vegetation, soil types and habitats. 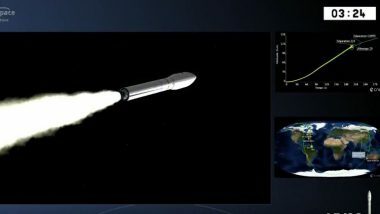 The spacecraft features a multispectral, wide-swath, high-resolution optical imaging instrument. 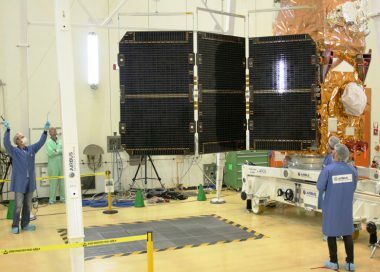 Sentinel-2B was built by a consortium led by Airbus. 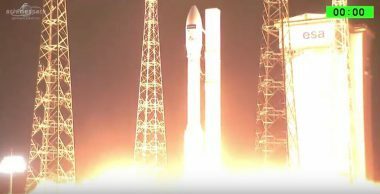 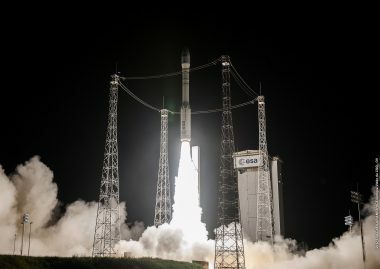 The Vega launch success with Sentinel-2B confirms Arianespace’s contribution to a better life on Earth	Continuing Vega’s track record of success, Arianespace’s ninth flight with the lightweight launcher delivered Europe’s Sentinel-2B Earth observation satellite to orbit tonight during a mission performed from the Spaceport in French Guiana.